A lone cowboy rides across the barren dessert atop his faithful sorrel. 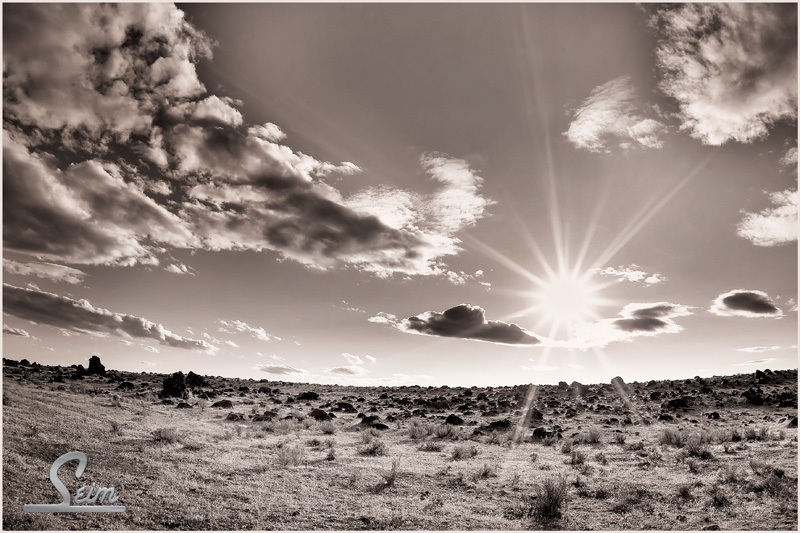 His silver spurs glisten in the hot afternoon sun as a dry wind rustles through tumbleweeds caught on the countless boulders scattered along the barren landscape. He looks out gloomily from underneath his weathered gray hat for a sign of the life-giving water he seeks. There is none to be found. They trudge onwards. OK, enough of me trying to write. I have enough projects on my hands, including a couple books, so I best not get started on another story. Besides that, this is a shot I took yesterday near Ephrata Lake. There was water and greenery not a hundred yards beyond this shot. Interesting how fast the land around here can change. This entry was posted in f164, Fine Art and tagged dessert, ephrata, f164, lake, landscape, nature, rocks, Seim Photography, sun, washington. Bookmark the permalink.